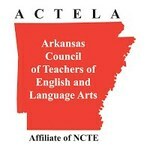 ﻿The Arkansas Council of Teachers of English and Language Arts (ACTELA) is a nonprofit organization whose aim is the improvement of the teaching and learning of English and language arts in the state of Arkansas. We provide a variety of services to teachers in our state, including participating in local events and conferences, offering mini-grants for teacher-led projects, recognizing outstanding language arts teachers throughout the state, and producing the yearly Arkansas Anthology. ​The UCA Media and Literacy Conference is a two-day conference at the University of Central Arkansas sponsored by the UCA College of Education, Arkansas Council of Teachers of English and Language Arts (ACTELA), and the Arkansas Literacy Association (ALA). The 2019 Media and Literacy Conference will focus on current issues in literacy and the use of media to support educators. This year’s theme is “Create, Curate, Collaborate.” This year's conference will be held on July 9th and 10th at the UCA College of Education (Mashburn Hall) in Conway, AR. Follow the link below for more information, including how to register or a submit a presentation proposal. Becoming a member of ACTELA ensures that you'll be kept up to date with what is happening in our organization, and it helps support our initiatives that empower students and teachers across our state. To become a member, follow the link below! Click on the image below to view the current issue and past issues of our award-winning newsletter! 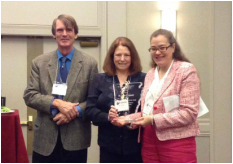 The Arkansas English Journal is an official publication of ACTELA. The AEJ is peer-reviewed by fellow teachers, ELA educators, and professionals and features a variety of articles/materials on subjects of interest to English teachers. 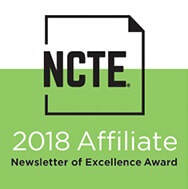 Since 2004, ACTELA has identified and honored outstanding English and Language Arts teachers. The awards include honors for outstanding early career teachers and community organizations that promote literacy. The Arkansas Anthology is an annual publication that encourages and honors the writing of Arkansas students and teachers.